Colorado's full service gemological laboratory and jewelry appraisal service, located at 451 East 58th Avenue, suite 2471, in Denver, Colorado 80216-8238. Phone (303) 223-4944 now, or click on the website image at left. 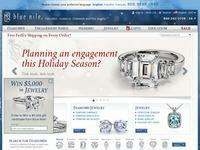 Williams Jewelers is a local jeweler in the Denver area.